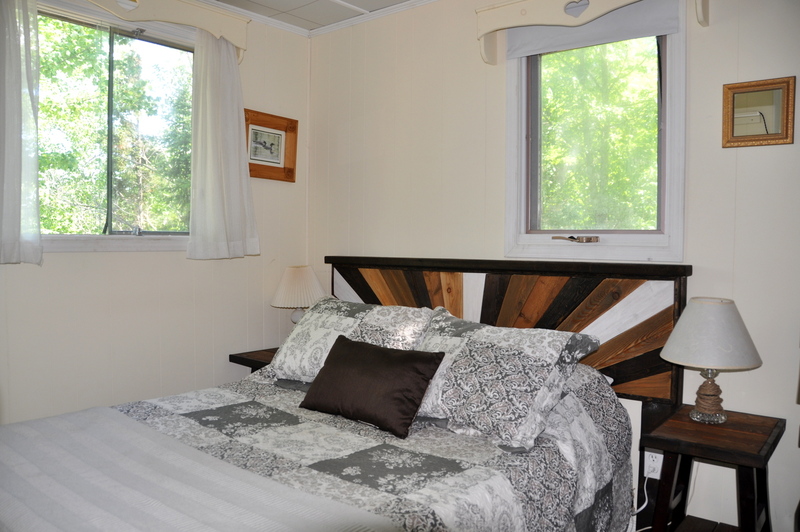 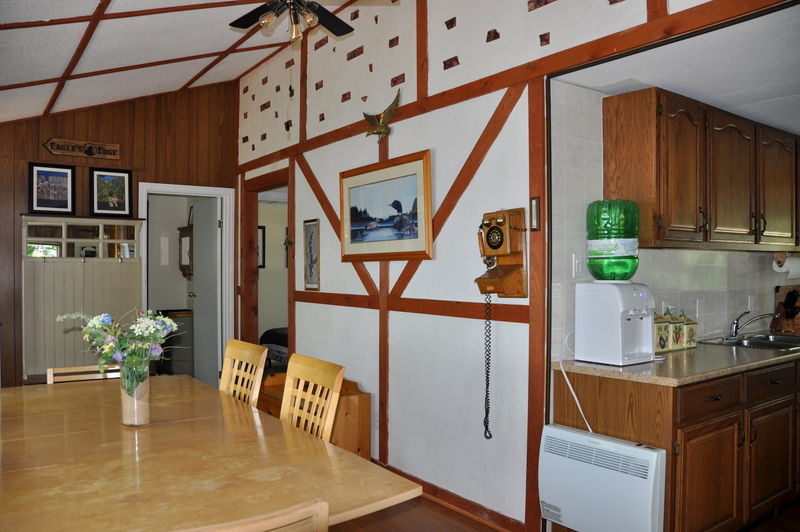 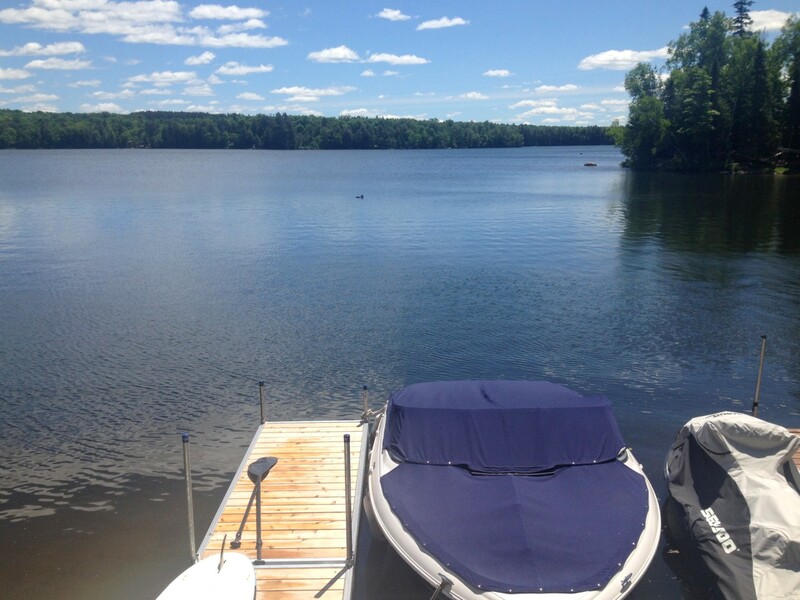 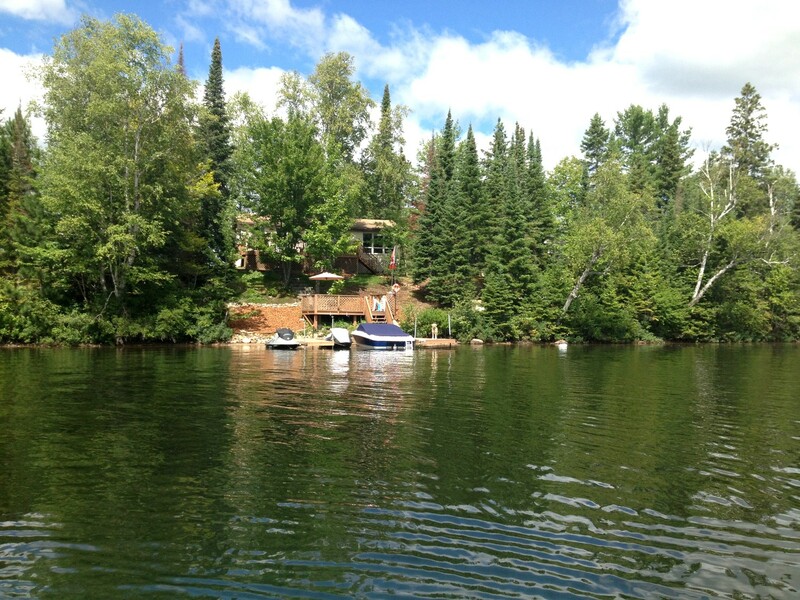 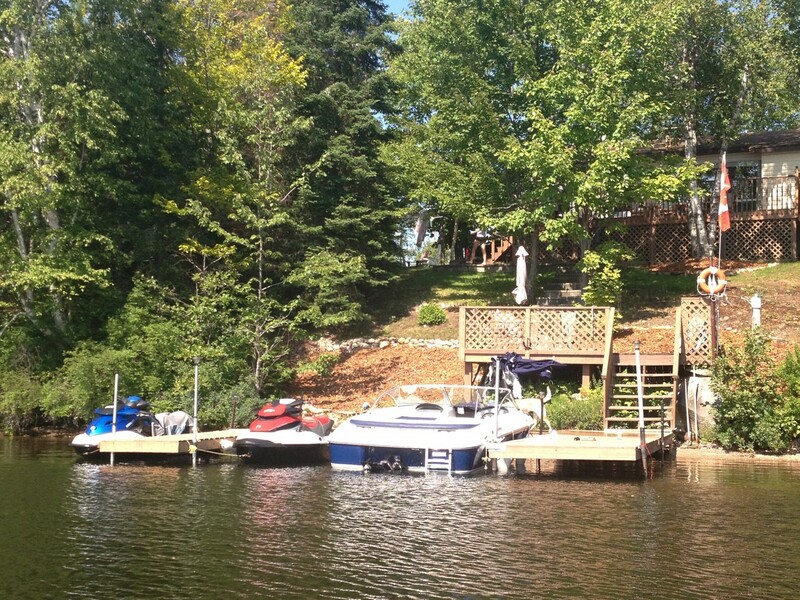 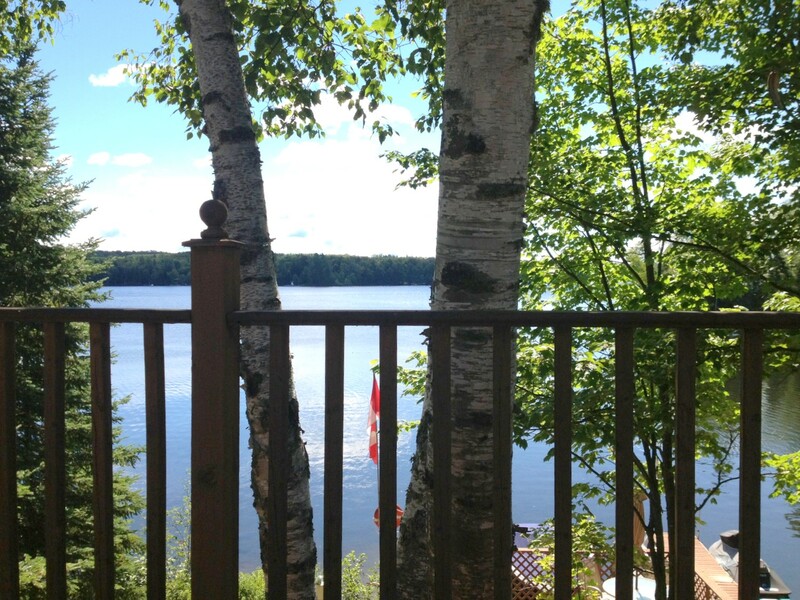 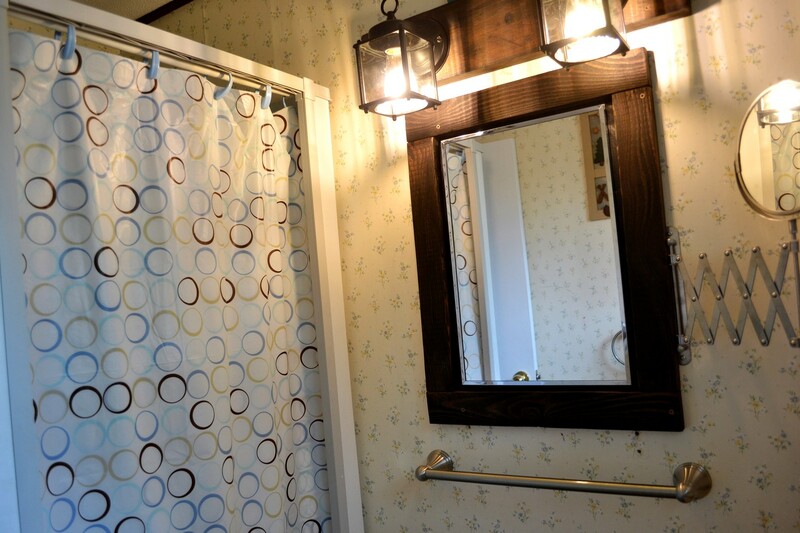 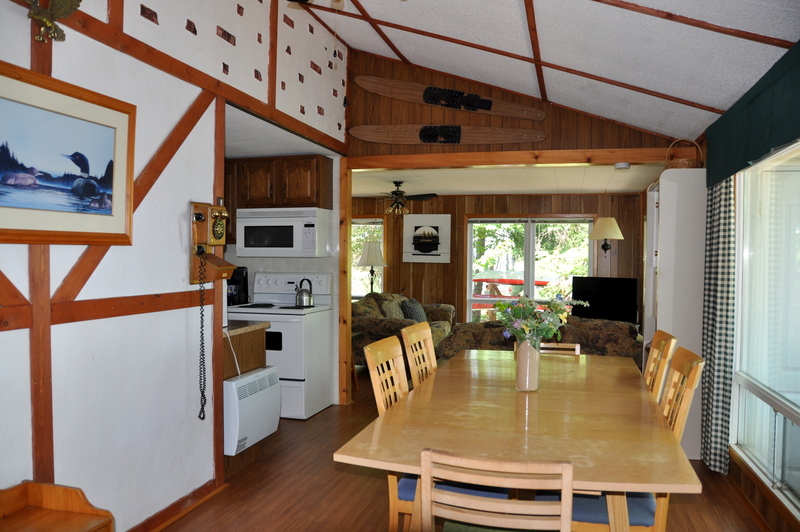 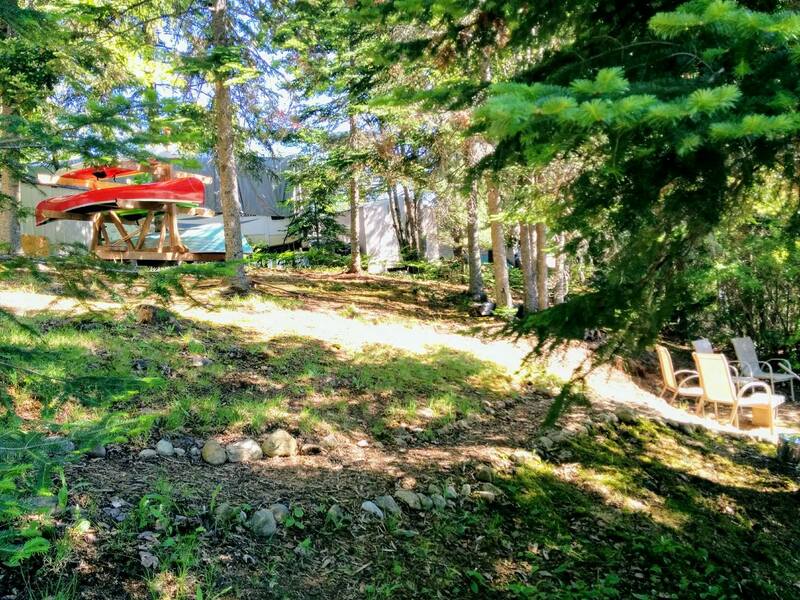 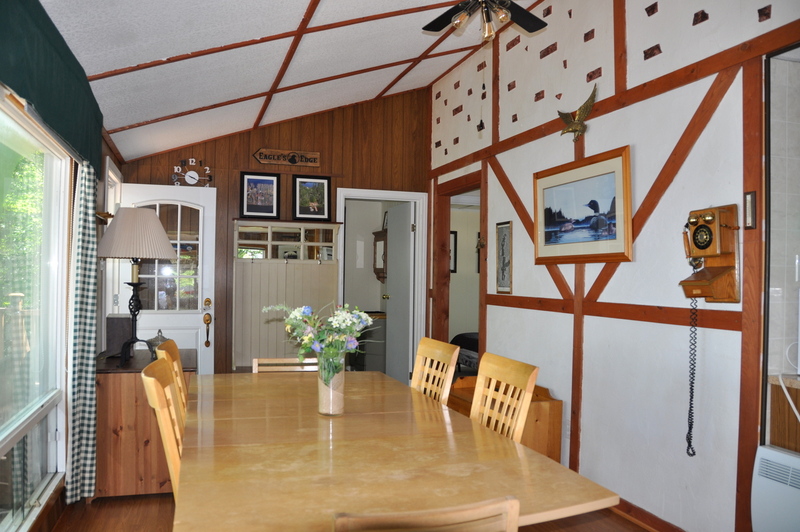 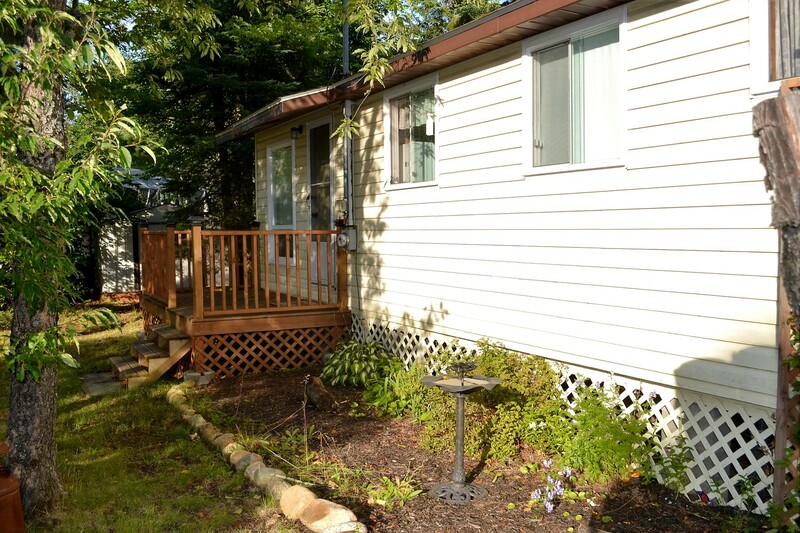 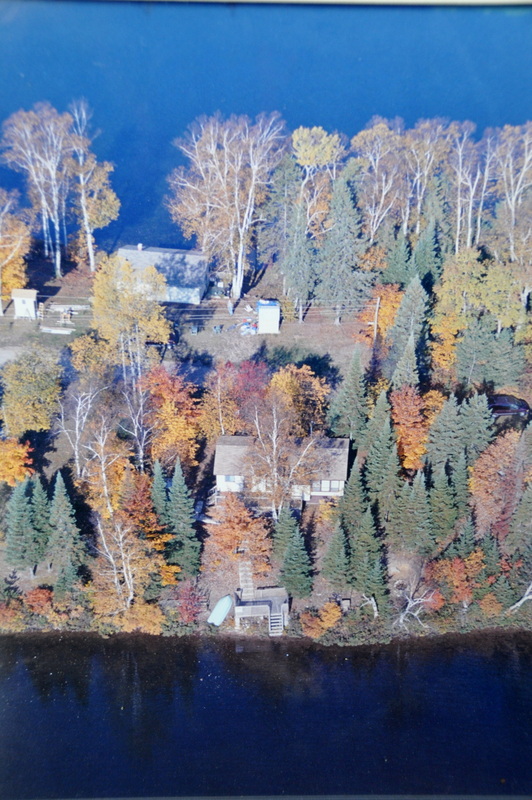 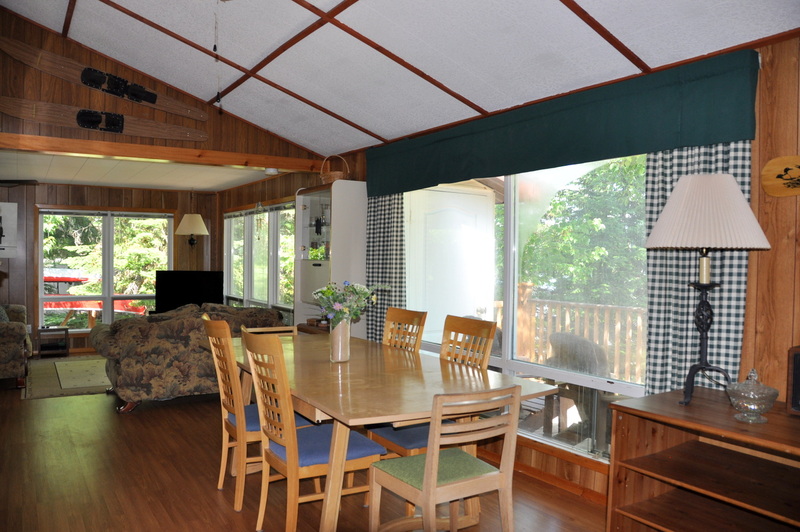 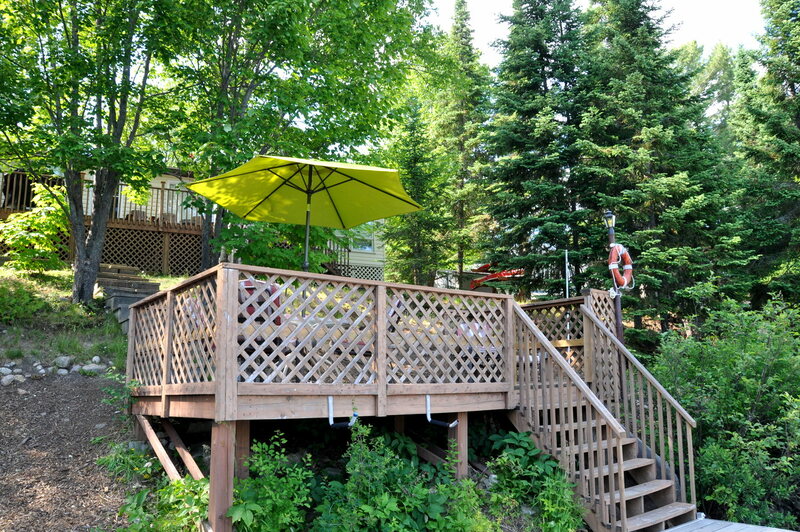 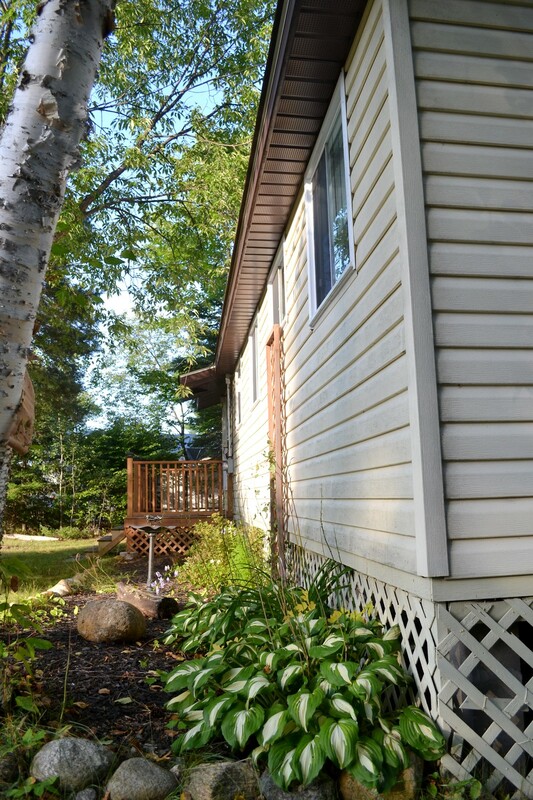 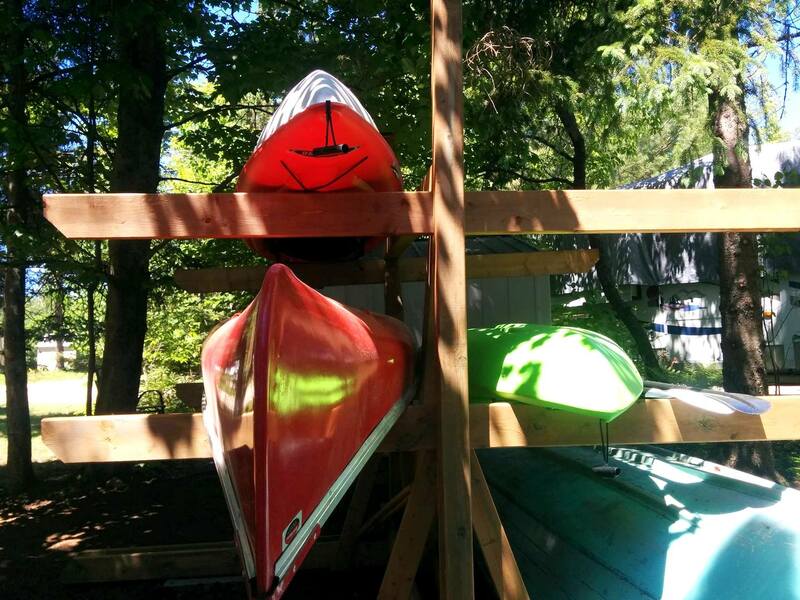 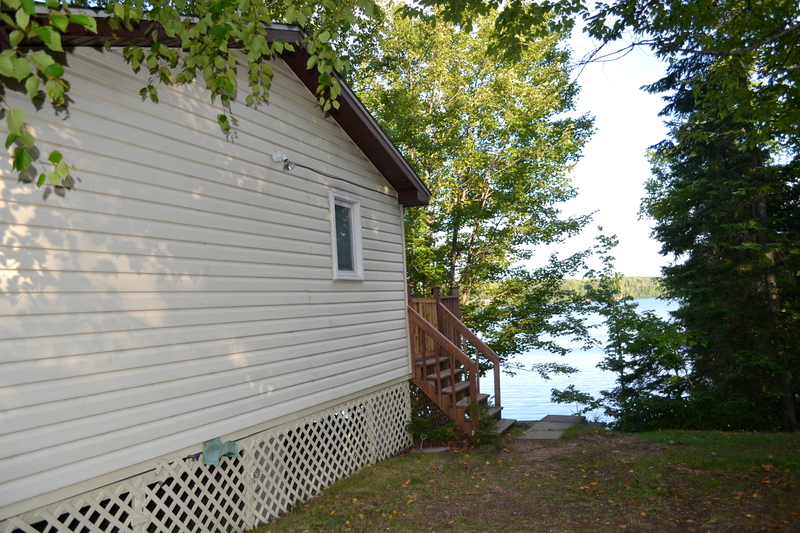 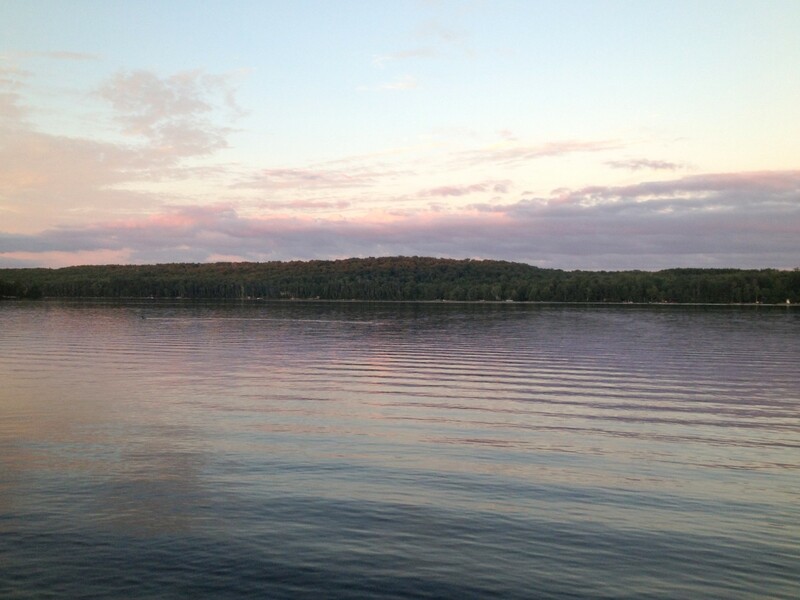 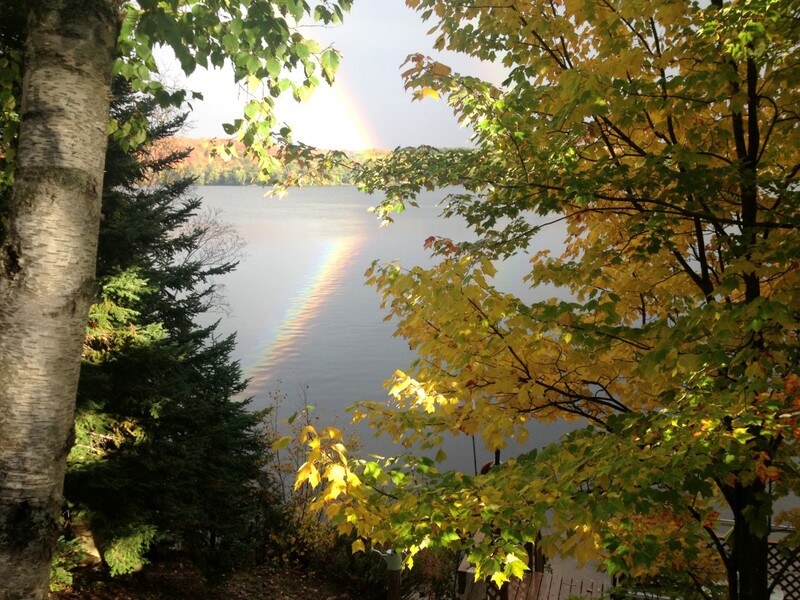 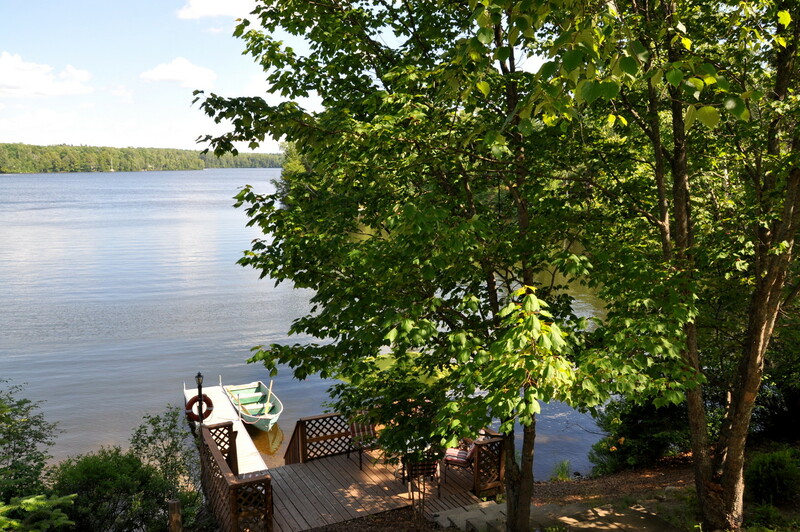 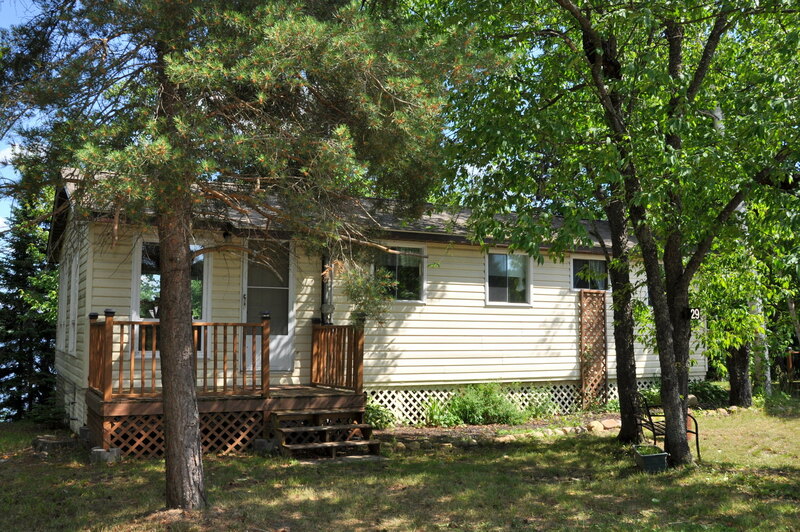 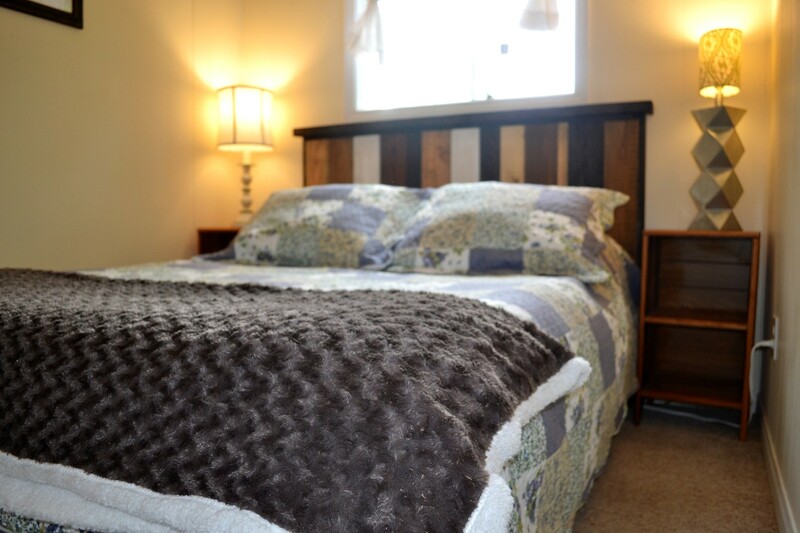 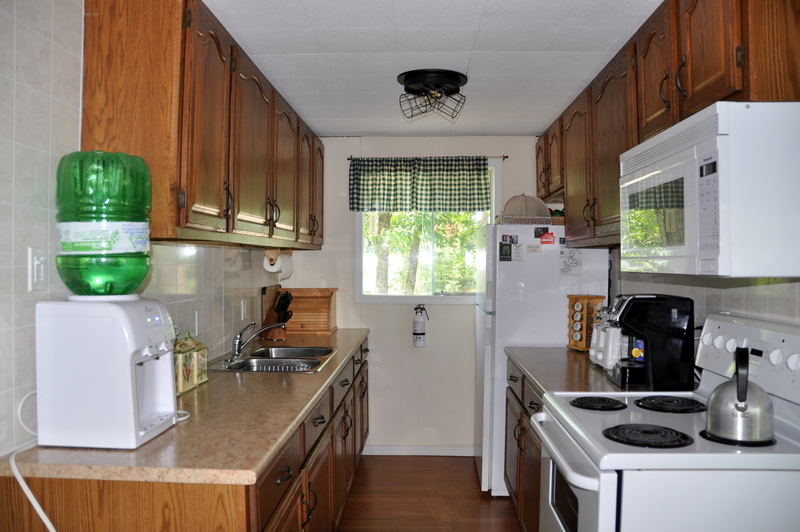 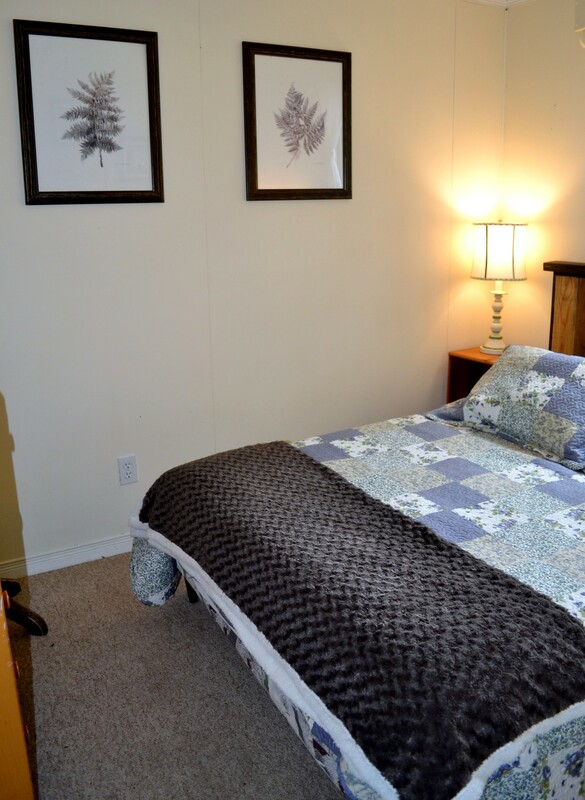 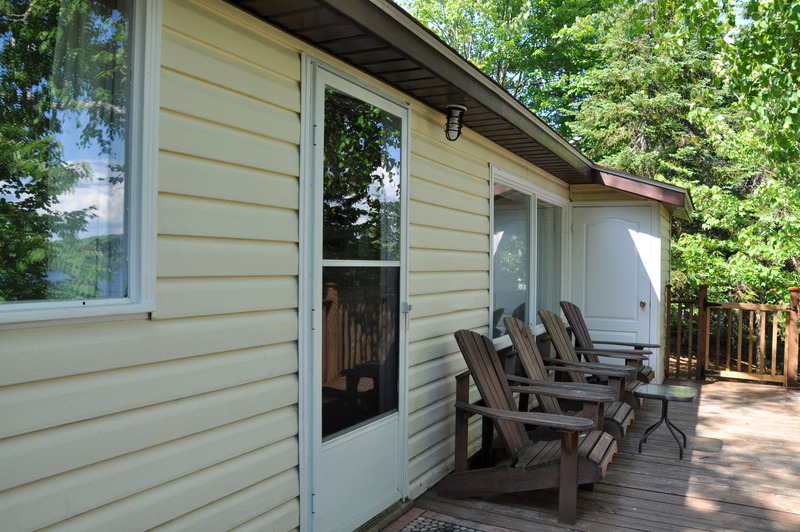 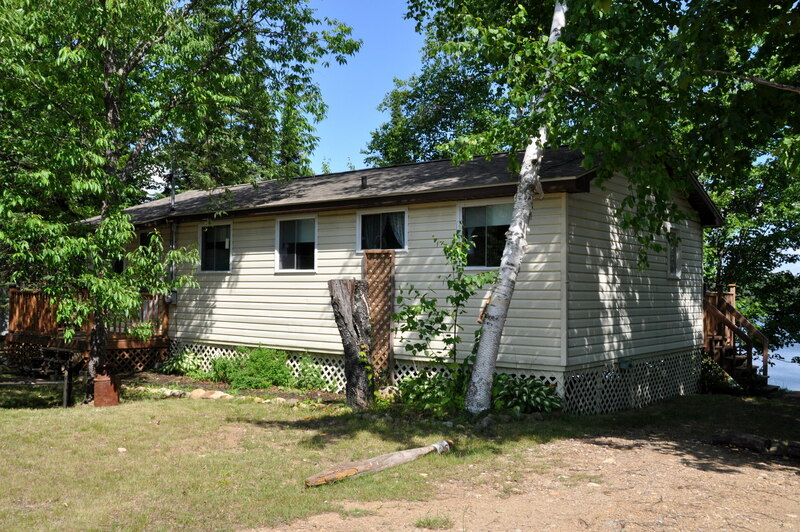 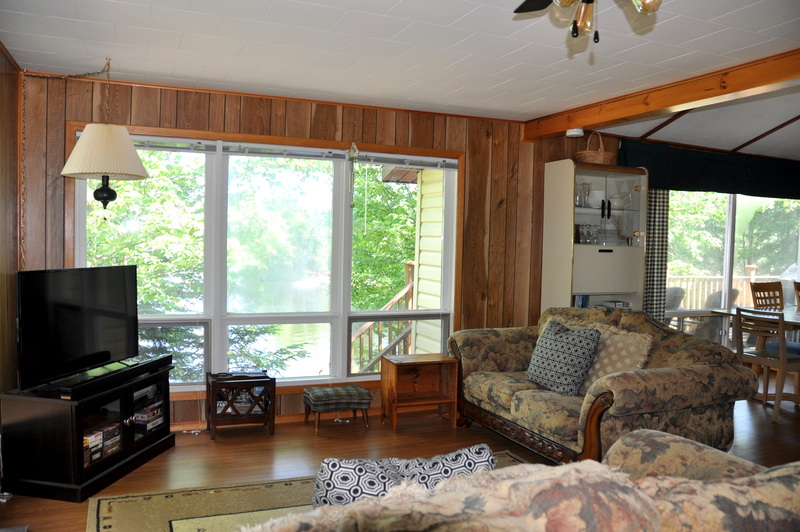 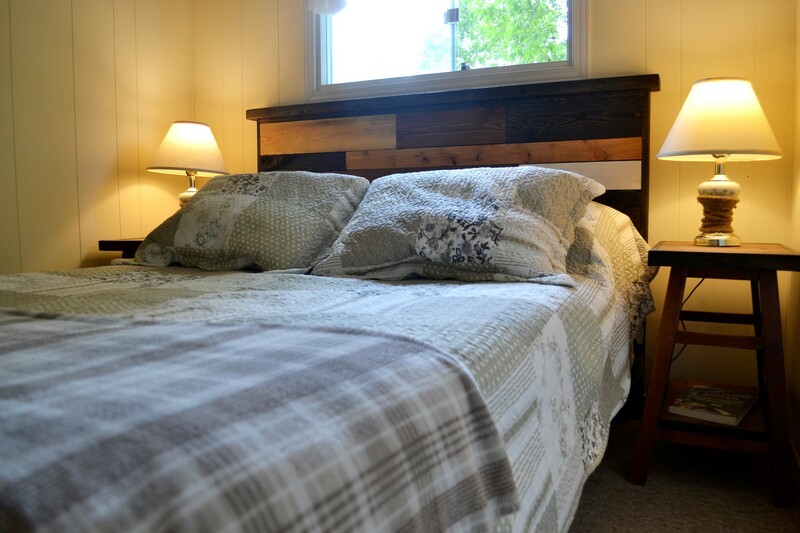 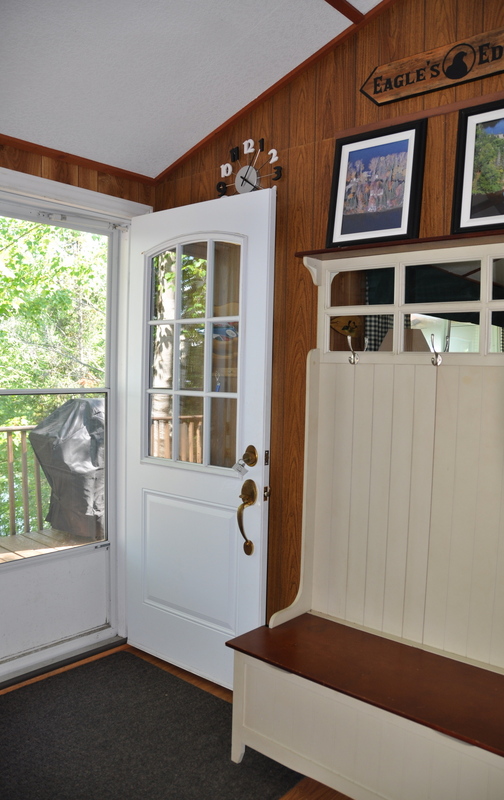 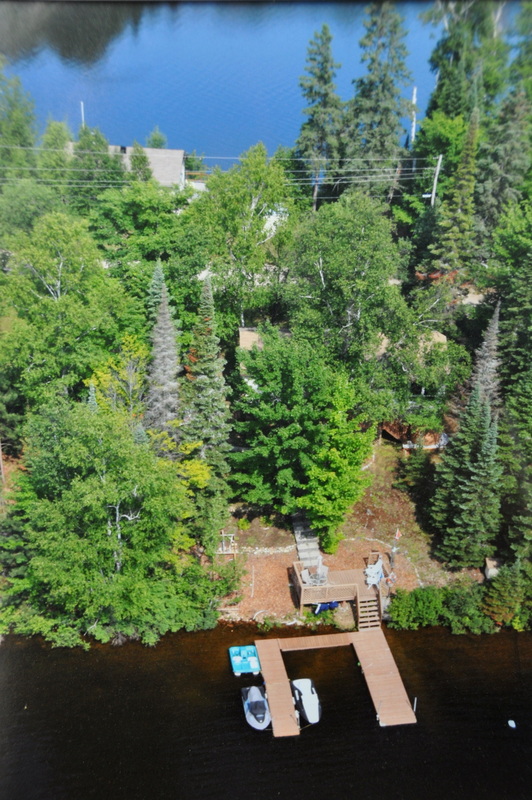 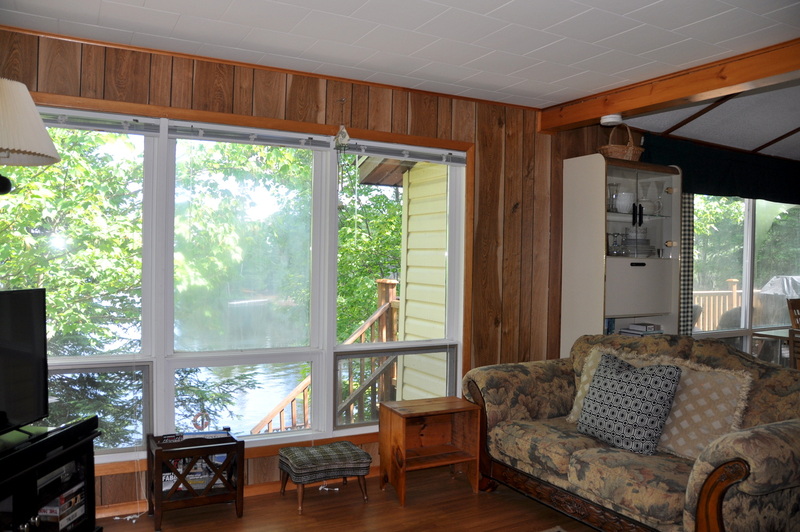 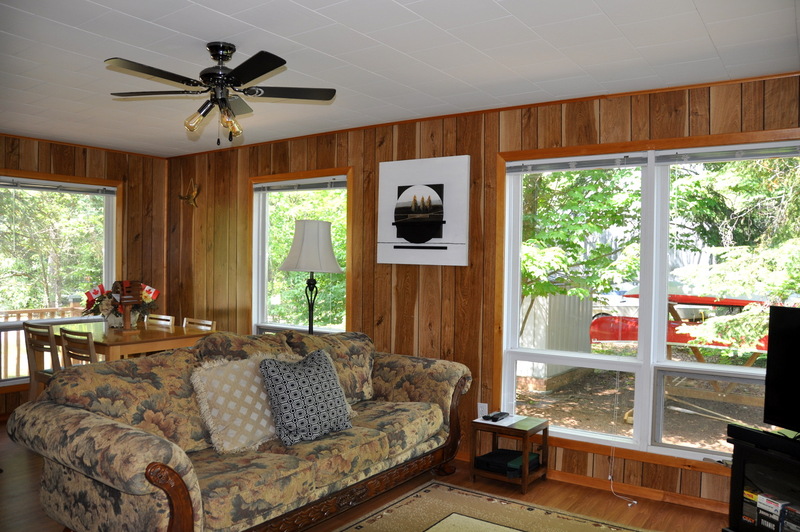 Welcome to EAGLE'S EDGE - a cozy 3 bedroom cottage on beautiful Eagle Lake. 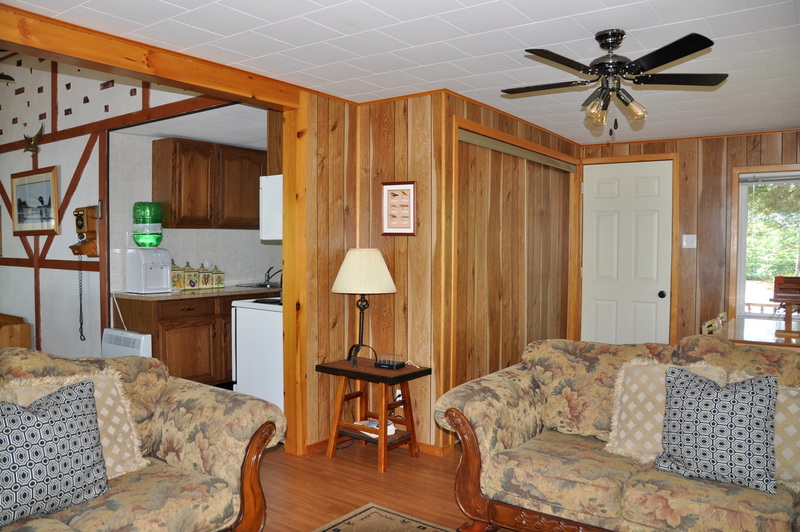 It's a perfect vacation destination for any family. 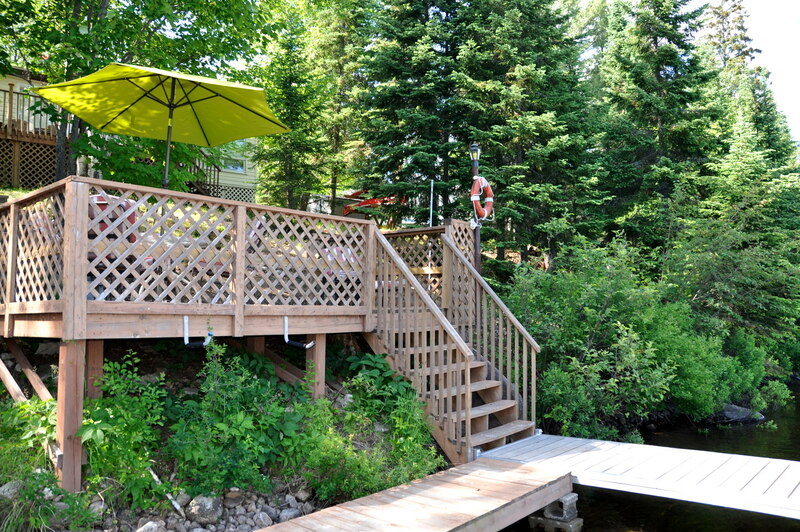 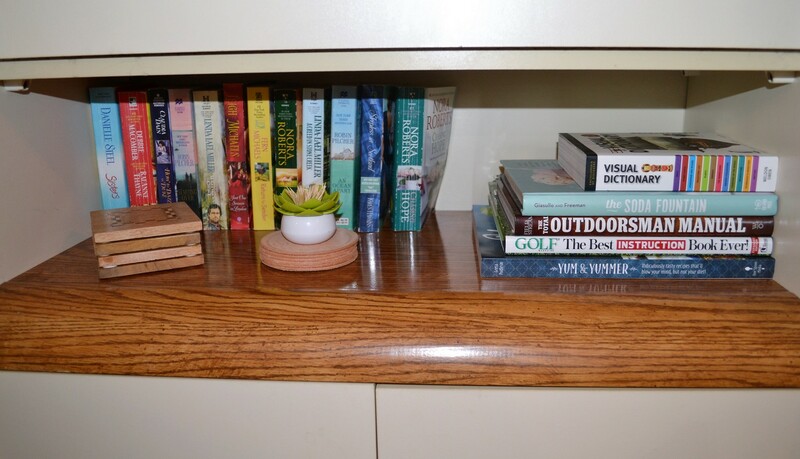 Situated on a peninsula, you'll find it as neat as a pin with everything you need to enjoy your stay. 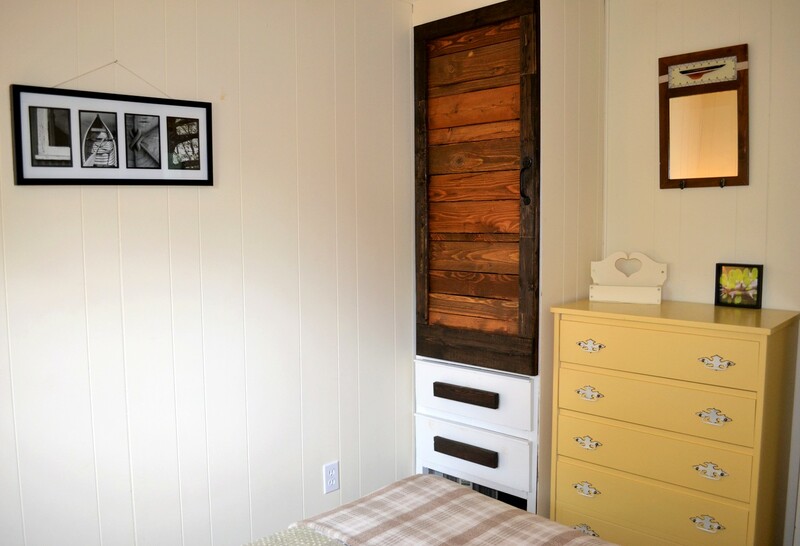 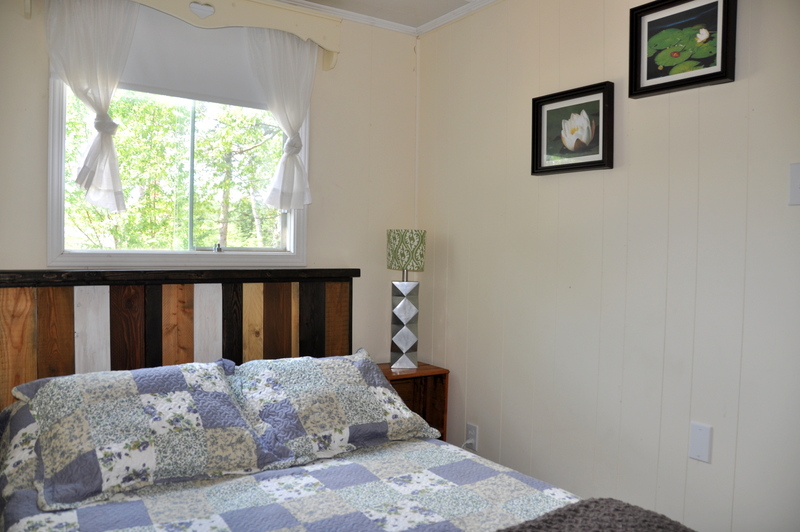 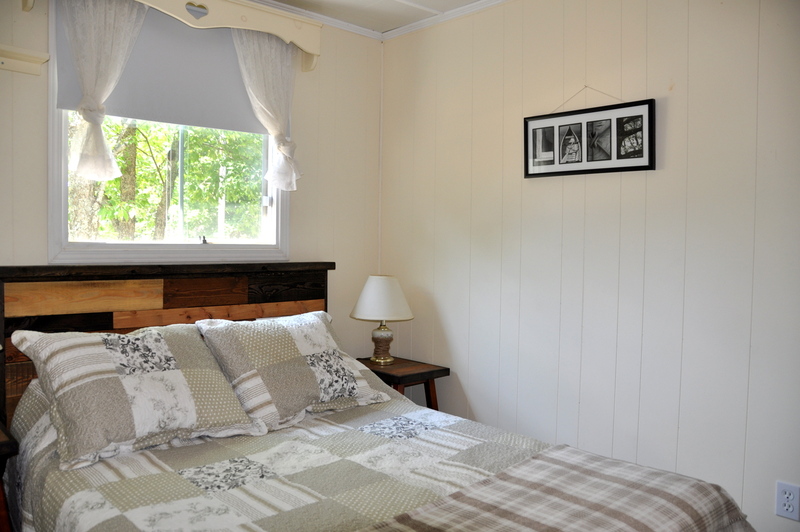 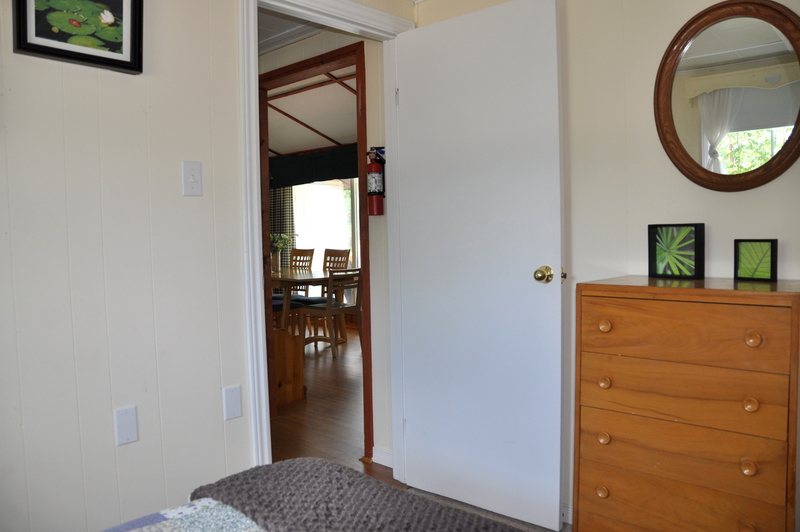 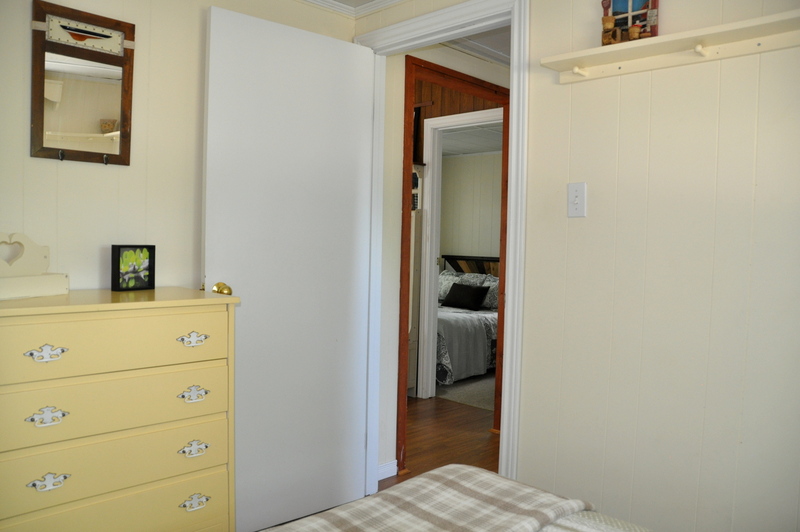 Inside the cottage, it is well laid out with the bedrooms and bathroom at one end of the cottage and the open concept kitchen/dining/living area all facing out to the deck and lake. 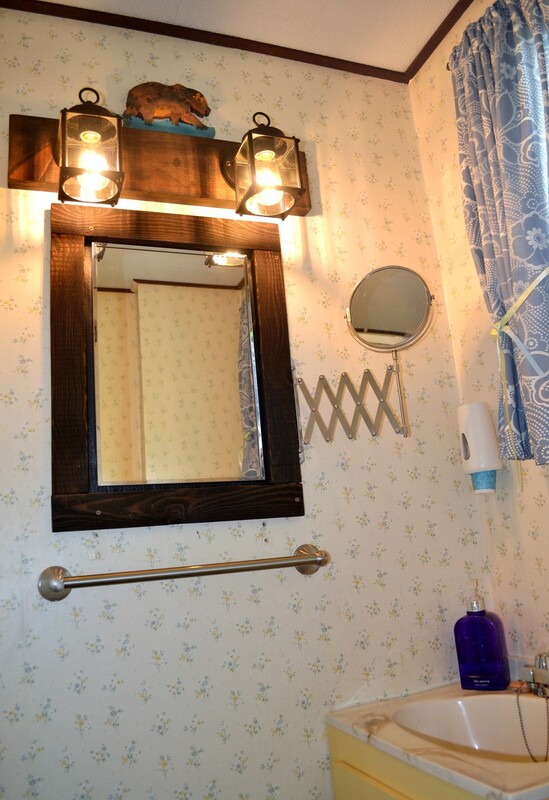 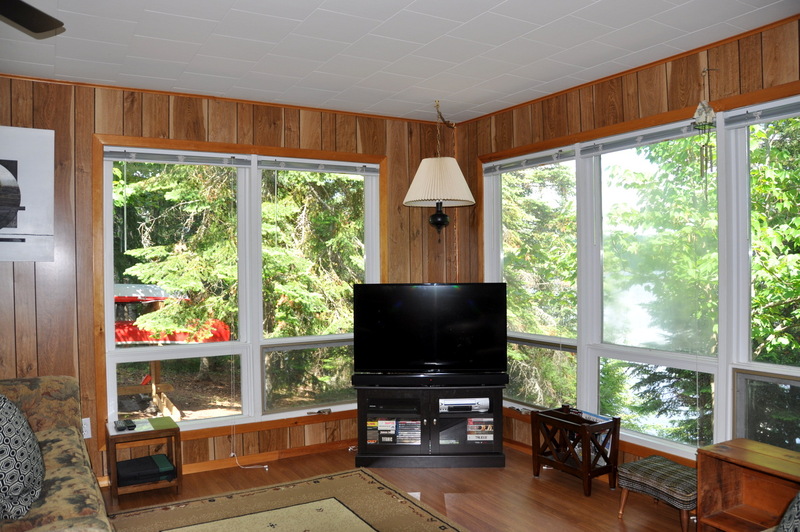 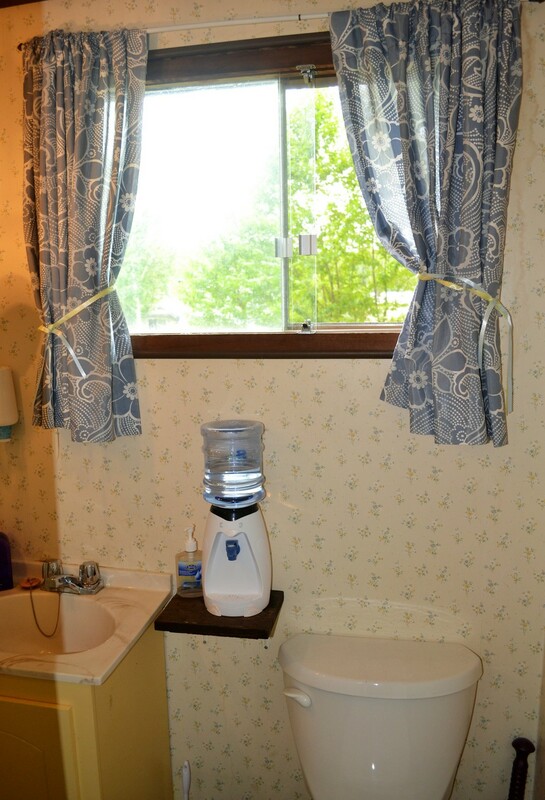 The entire wall of large picture windows running the length of the cottage, frame beautiful tree top views of the lake. 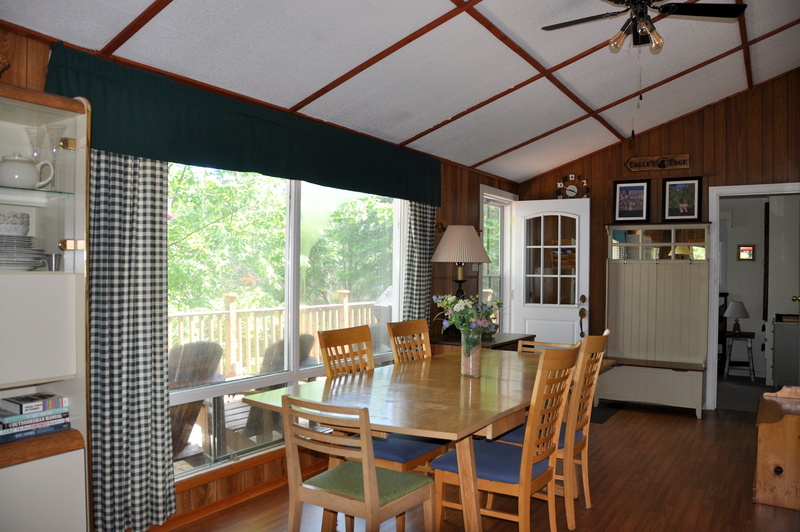 Along with another full wall of windows and a vaulted ceiling in the dining area, this main living area is bright and spacious, perfect for all family gatherings whether dining or relaxing. 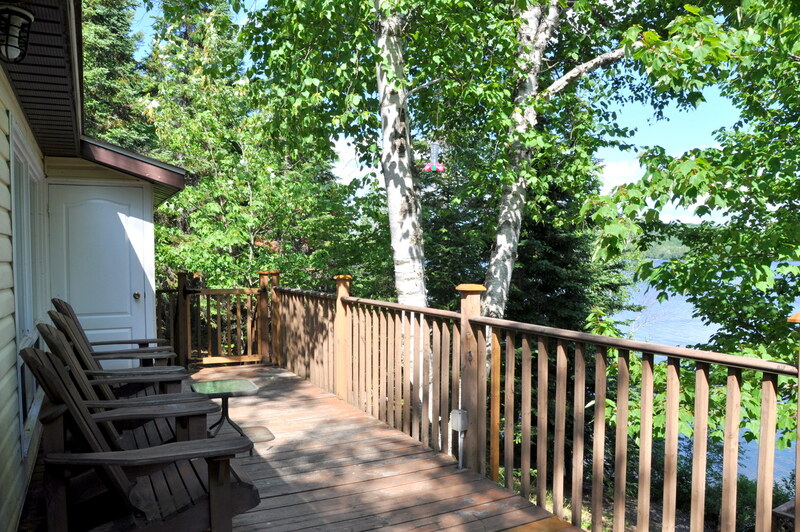 Start your mornings on the deck, cup of coffee in hand and take in the amazing view of the lake as the sun rises and a new day begins. 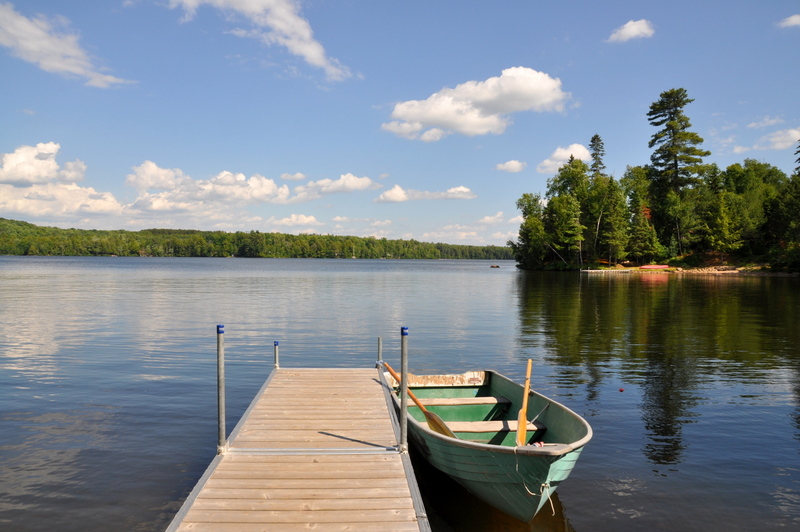 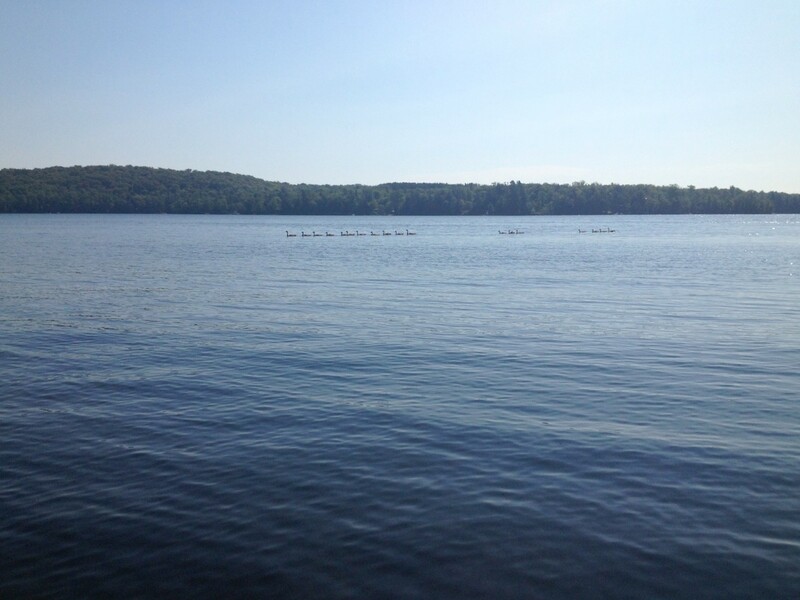 The lake is quite calm, especially in the mornings, ideal for canoeing and kayaking. 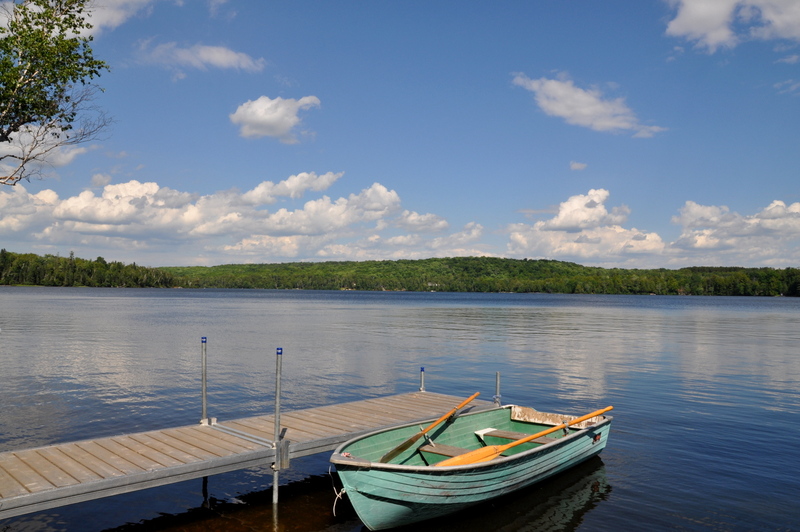 With the lake being spring fed, swimming is especially fantastic and so is the fishing with Trout, Walleye, Bass, Perch and Pike in abundance. 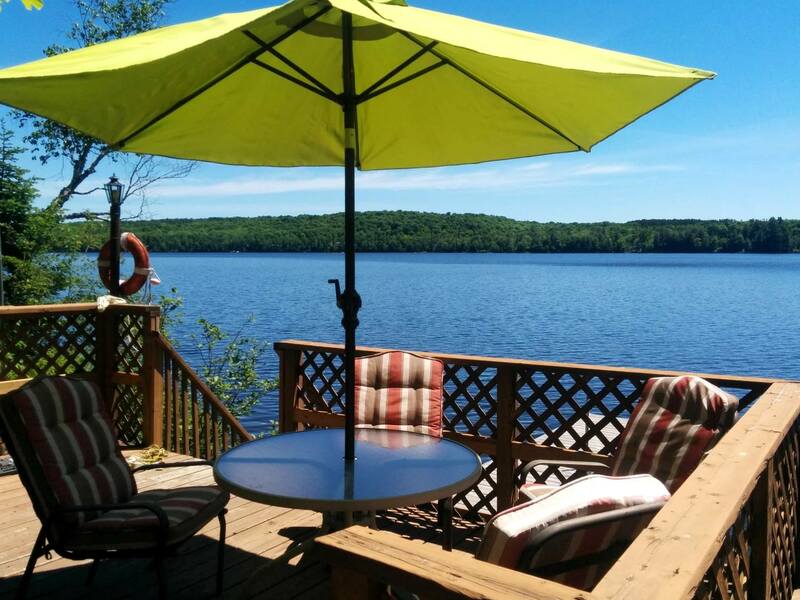 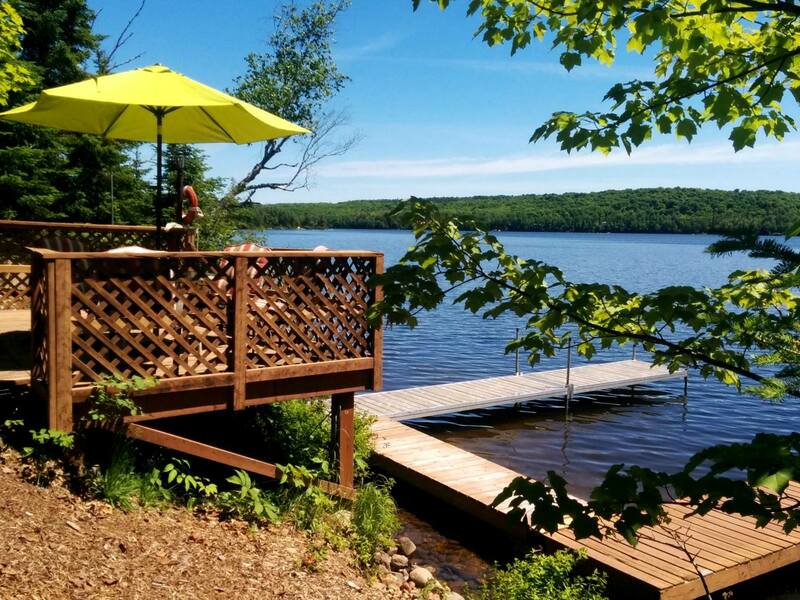 With sun on the dock from early morning to late afternoon, you can either lay out, relax and soak up the rays or find shade under the umbrella on the lakeside deck and catch up on your reading. 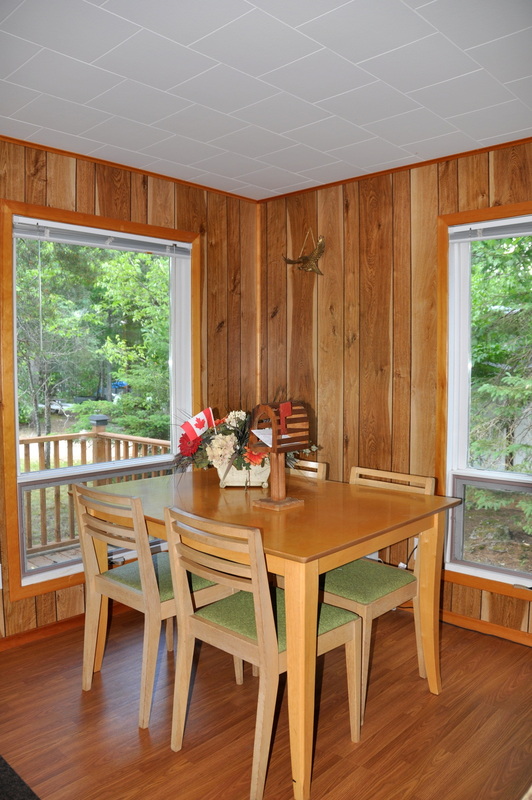 Enjoy scenic nature walks/runs/bike rides along the quiet country roads just at your doorstep or take a day trip to close-by Mikisew Provincial Park and bring a picnic spread for lunch on one of the three beaches. 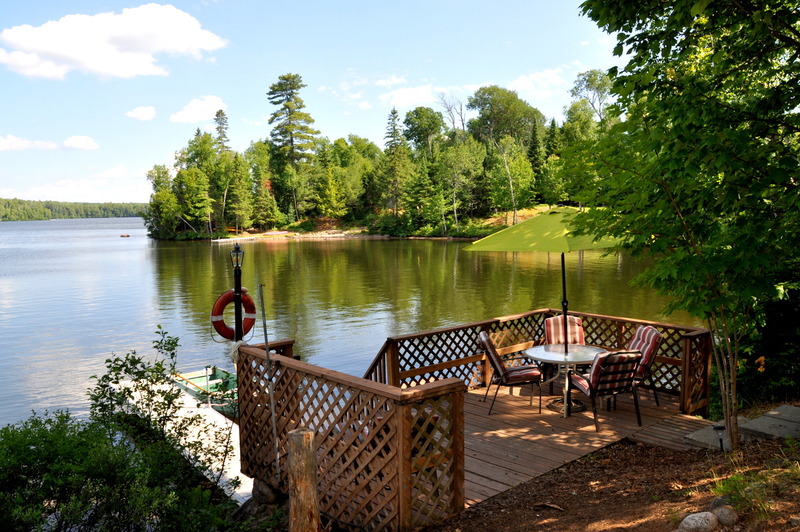 Avid golfers can get a quick round in at Eagle Lake Golf Course which is less than 3 km from the cottage. 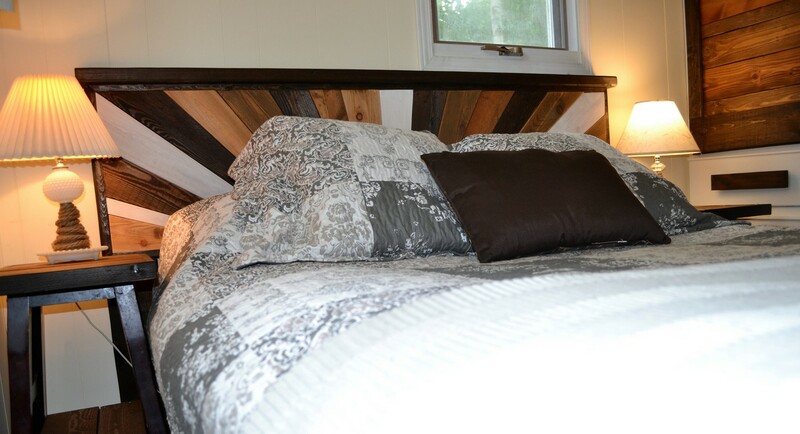 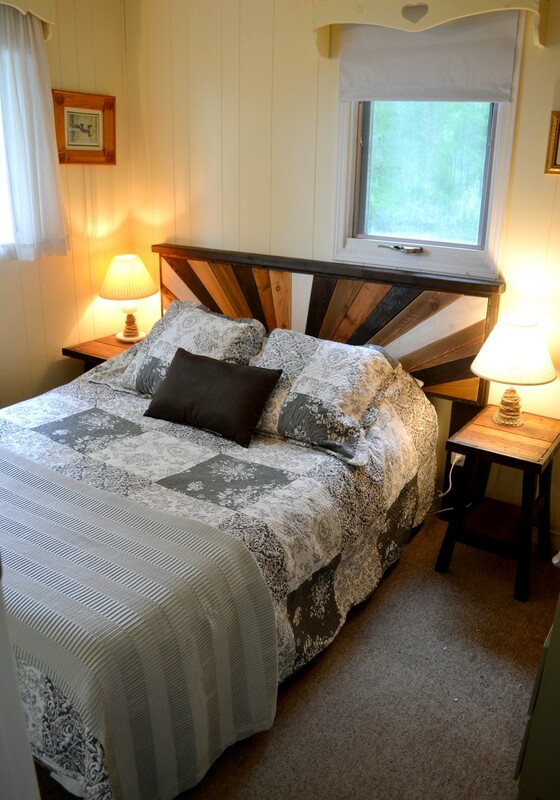 Before heading back to the cottage, stop by the "Narrows" country store and say hi to the owners Fred and Jill while indulging in delicious homemade burgers and all natural Kawartha Lakes ice cream. 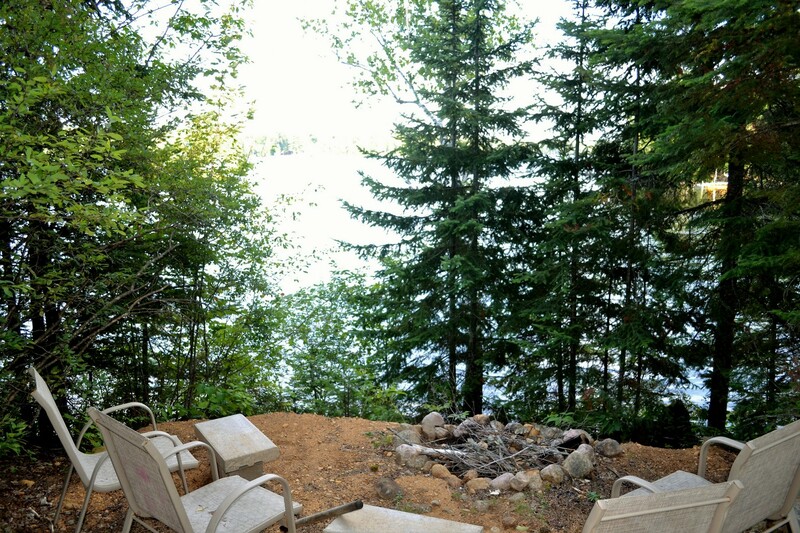 No cottage day is complete without late evening campfires, enjoying smores and stories with the family while listening to the sound of the loons. 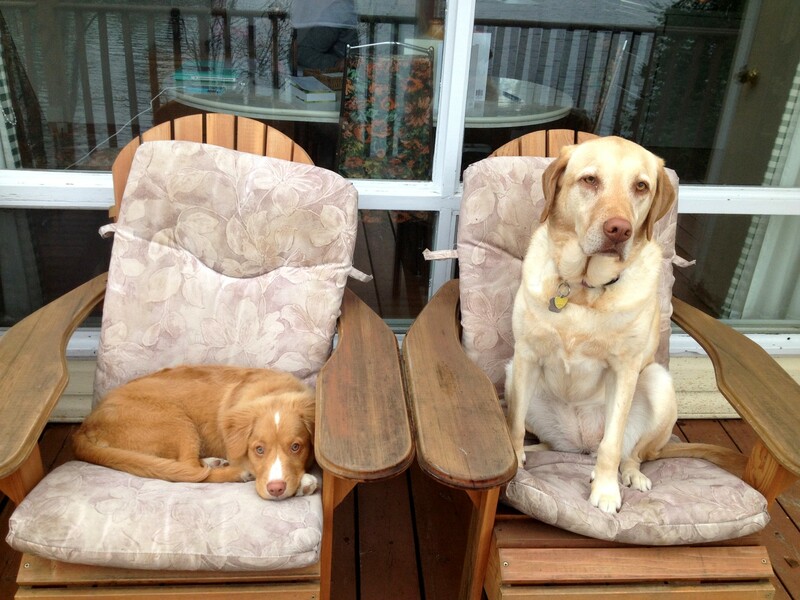 So, what are you waiting for! 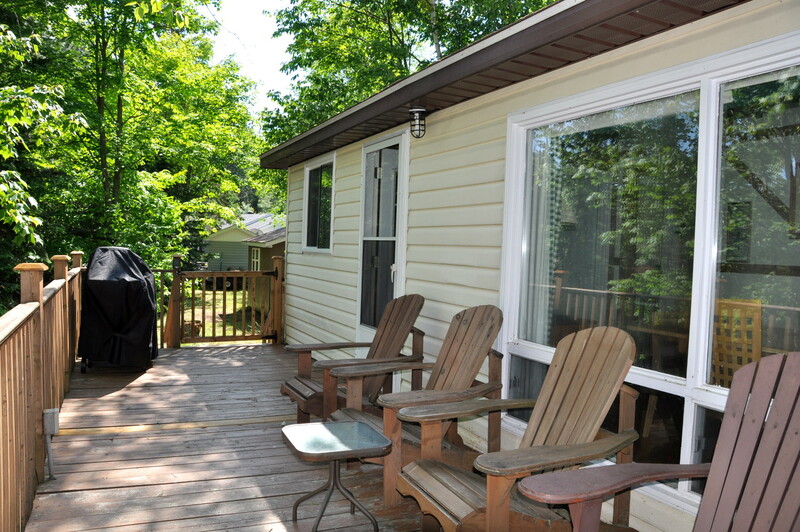 Location: About a 3 hour drive from Toronto up HWY #11. 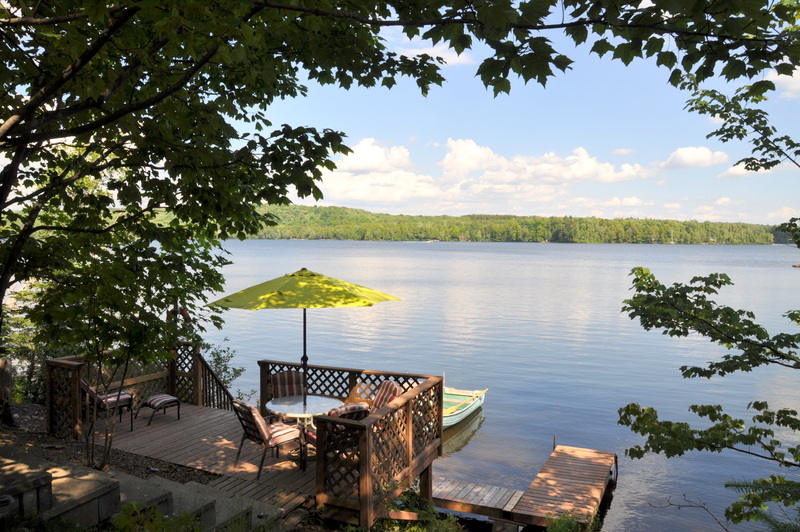 About 15 km from the little village of South River for some shopping, groceries, gas and LCBO. 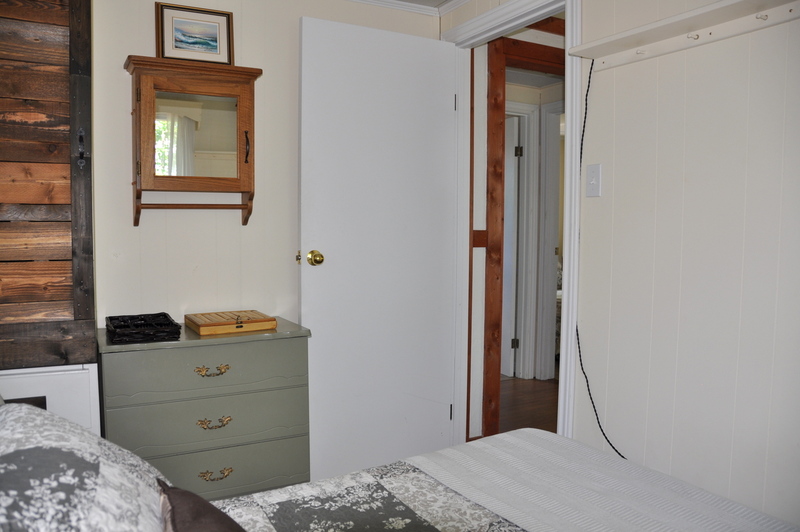 Pet upon approval of owner, no smoking, maximum number of occupants is 6, bring own linens and towels, bring own drinking water (1 bottle of drinking water will be provided to get you started), noise restriction after 11 PM.